They don’t call it a mountaintop experience for nothing. 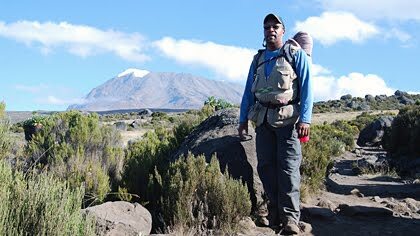 Eighteen months after standing at the base of Mount Kilimanjaro, Dr. Craig Brookins can remember what he was thinking as he began his attempt to reach the summit of the world’s tallest freestanding mountain, 19,351 feet above sea level. Brookins, an associate professor of psychology and Africana studies, shared his experiences with a rapt audience recently during a Fabulous Faculty presentation at D.H. Hill Library as part of Black History Month events.